McDonald's Prosperity Burger is back! 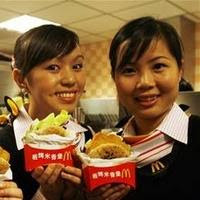 *stomach growling* Self-proclaimed McDonald's fan, I will definitely rushing going to eat at least one Prosperity Burger, each year. Hopefully when I go back to Tawau this time round, my dearest mom will say, "you look prosperous!" (meaning, have put on weight!) Instead of the other way round. 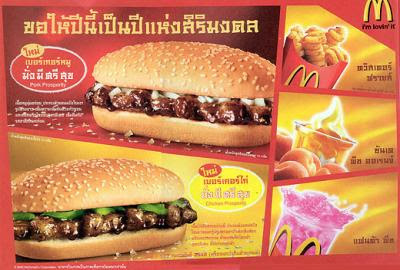 Anyway, here are some interesting McDonald's menu items you won't find here, in Malaysia. 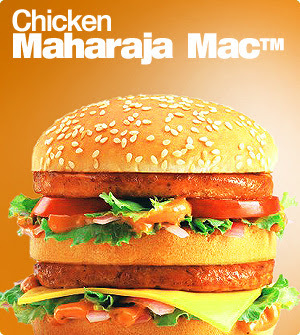 In India, there are no Big Macs because the Hindu people don't eat beef. 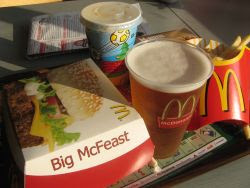 It's bottoms up in Germany, where McDonald's serves - Beer! 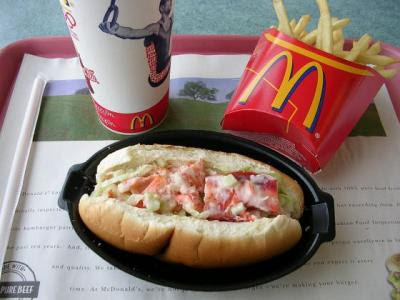 In parts of Canada, have a lobster dinner with the McLobster lobster roll. 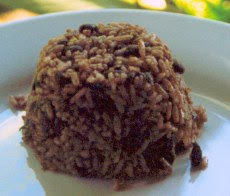 Pardon me - "McHomard" (in French). Japan totally reinvents McDonald's with its Ebi Filet-O (shrimp burgers), Koroke Burger (mashed potato, cabbage and katsu sauce, all in a sandwich), Ebi-Chiki (shrimp nuggets) and Green Tea-flavored milkshake! 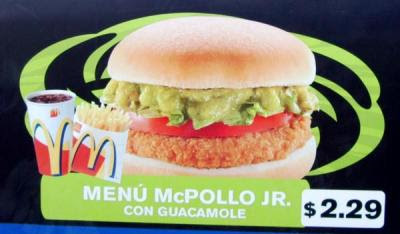 In Chile, you can dress your burgers with - not ketchup - avocado paste! 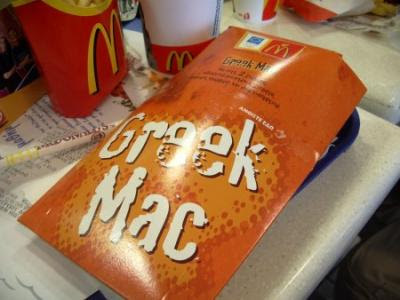 It's not Greek without pita, so when in Greece, have a Greek Mac, a burger made of patties wrapped in pita. 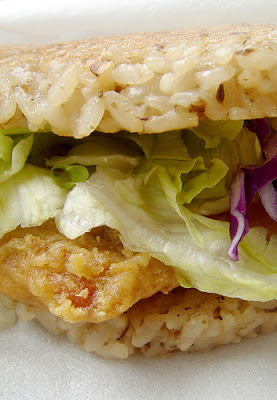 Rice-loving Hong Kong, has - of course - Rice Burgers, where the burgers are in between, not burger buns, but two patties of glutinous rice. In Israel, McDonald's has 3 kosher restaurants where cheeseburger and dairy products are not served because Jewish Law forbids serving "the child [cow/beef] in its mother's milk [dairy]." 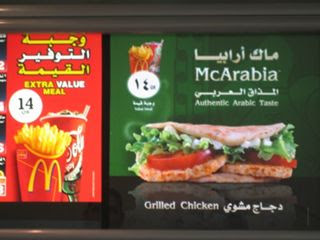 They have McShawarma, meat in a pita bread roll. In Uruguay, they have the McHuevo, which is like a regular hamburger, but it is topped with a poached egg. Hehe..this is funny. I been to Mc Donald in Norway few time but never saw Mclaks on the menu. 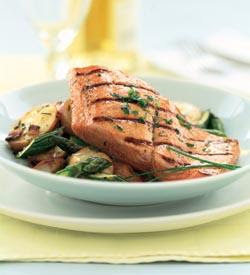 But they does have salmon menu call Laksewrap. Look like kebab rolls. That must be very yummy huh? ;-) Anyway, thanks for dropping by!! !